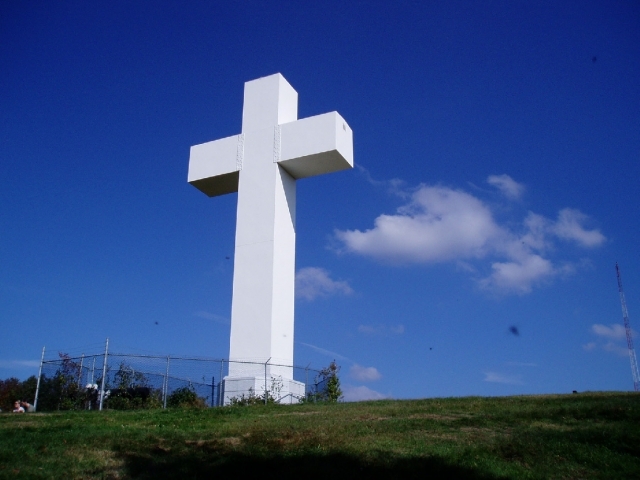 The Great Cross of Christ stands 60 ft. tall on Dunbar's Knob, offering a breathtaking view, including the USX Tower in Pittsburgh on a clear day. Built in 1950 for the United Methodist Church, this inspiring landmark has touched the hearts of people from around the world. A paved walking path climbs through a beautiful wooded area, with benches along the way to rest. If this hike is too steep, you may contact the office during business hours to get a key to allow you to drive to the cross. Jumonville is a premier Christian camp and retreat center with summer programs for all ages and retreat space for groups year-round. 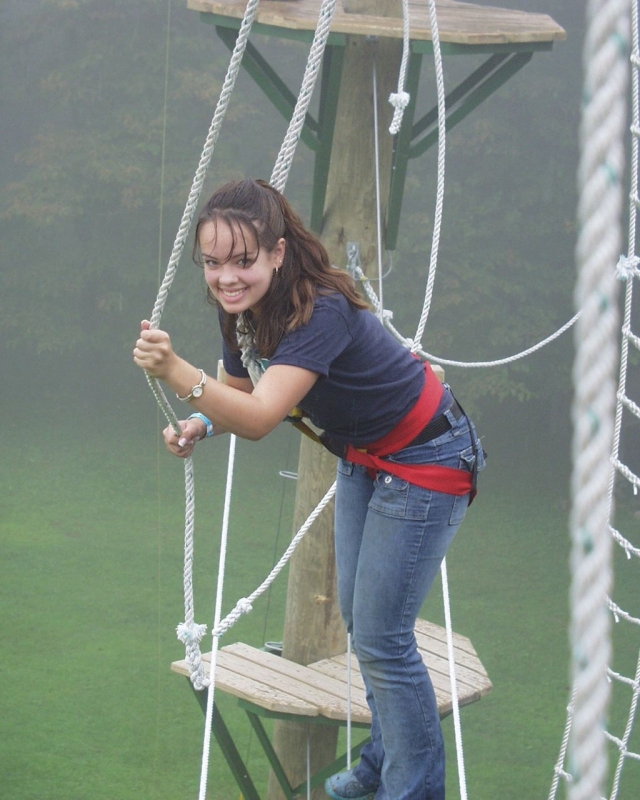 Rock climbing and and teambuilding initiatives are among Jumonville's most popular programs. Please call for reservations if you plan to bring a group for the day or overnite. The Welcome Center is open most weekends, and varying hours during the summer for refreshments or souvenirs. Discover the treasure in your own backyard. Experience the difference at Jumonville! General Information: Distance from Airport: 80mi, Hours: Call or email for information. 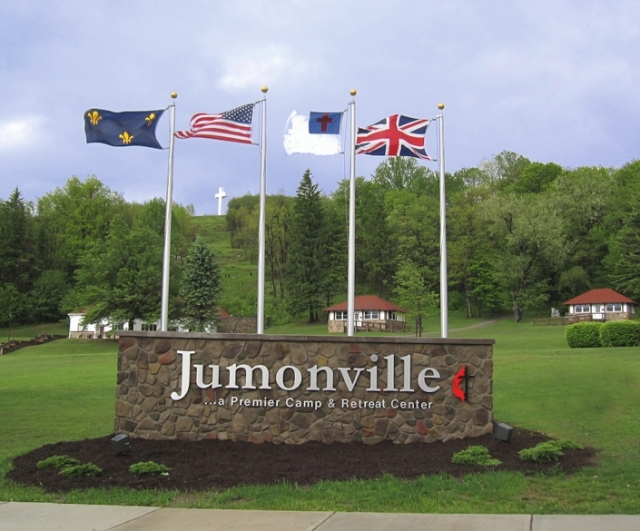 Jumonville has been under the control of four flags - British, French, American and Church authority. 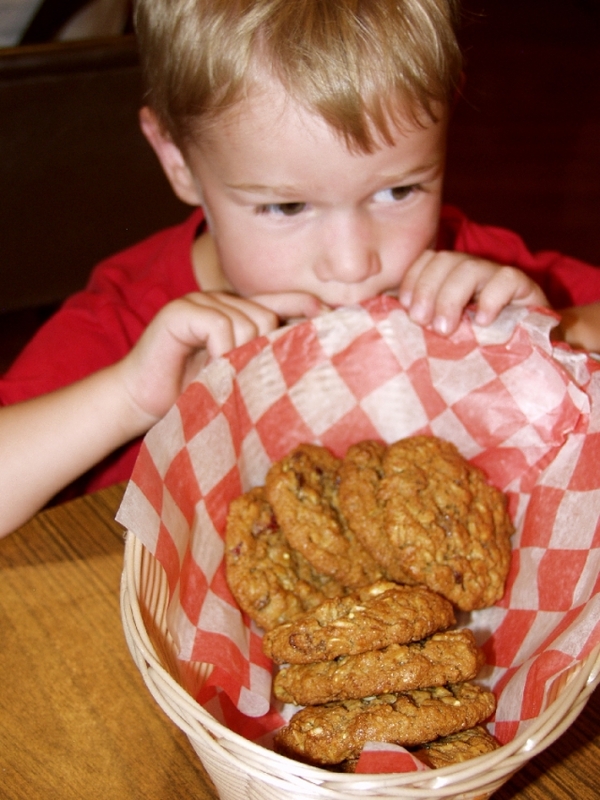 Fresh baked cookies are frequently on the menu! High Ropes course fun and faith-building adventure! 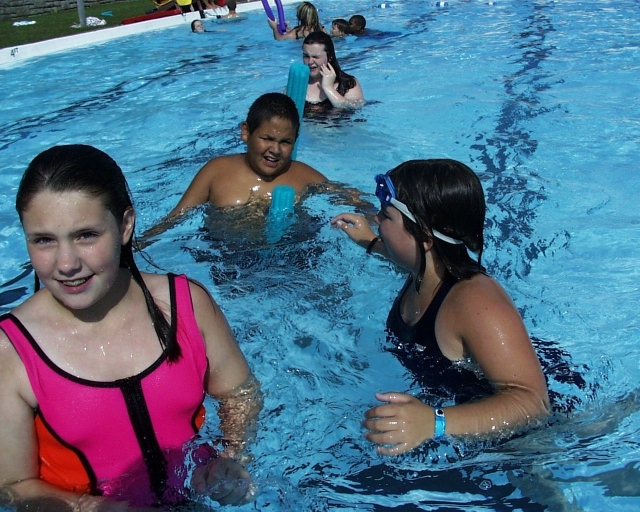 Summer fun at the pool is a favorite activity! 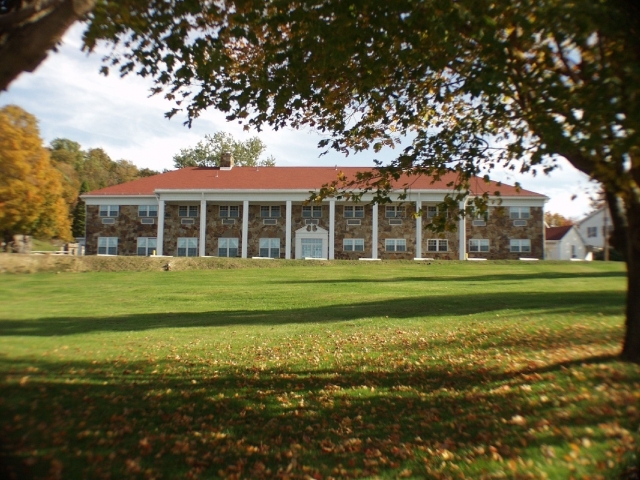 Washington Lodge is one of many lodging options for comfort and convenience at Jumonville.